I have always enjoyed thrillers featuring strong women and Detective Tracy Crosswhite is definitely that. MY SISTER'S GRAVE flashes between the present and her memories of herself and her sister so it's easy to tell that she has always had a lot of inner resolve. When they finally find Sarah's body, Tracy has the evidence that she needs to start the process of discovering just who the real killer was. I was very impressed by this book. The copy that I was given to review was unedited so there were a few errors which I am sure didn't make it into the finished version but they weren't content errors that always drive me insane in a thriller. And believe me, I was looking for them as this book is set in Washington where I live and I am very familiar with the areas that Mr. Dugoni mentioned. I also found the characters to be realistically portrayed with all of their flaws. The dialogue was sharp, witty and at times humorous. Oh and let's not forget the Rex and Sherlock, two dogs that make quite the appearance in the story. 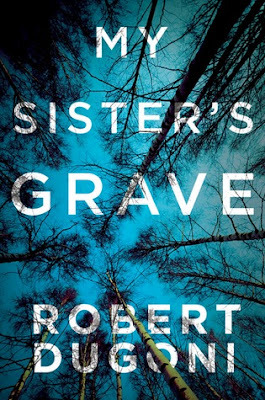 I do recommend MY SISTER'S GRAVE to any of my readers who enjoy a good, tight thriller with several unexpected twists and turns. You are sure to enjoy this book.